Emmaus Home in Marthasville, Missouri, was founded as a seminary. 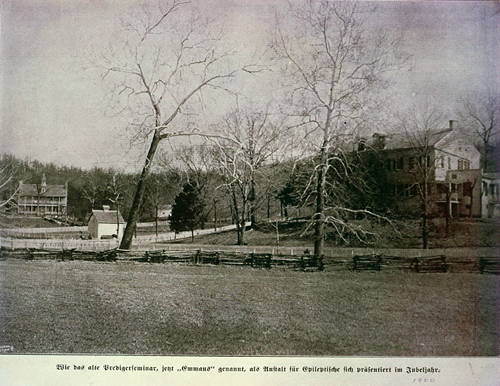 By 1900, when this picture was taken, it had become a home for people living with epilepsy. Keeping to its religious roots, Emmaus Home focused on the humane treatment of people who had epilepsy and other cognitive and developmental disabilities.